4.2 / 5 Score from 72 reviews. - 20% discount until 30 Sep 2019 and 10 % discount until 31 Oct 2019! 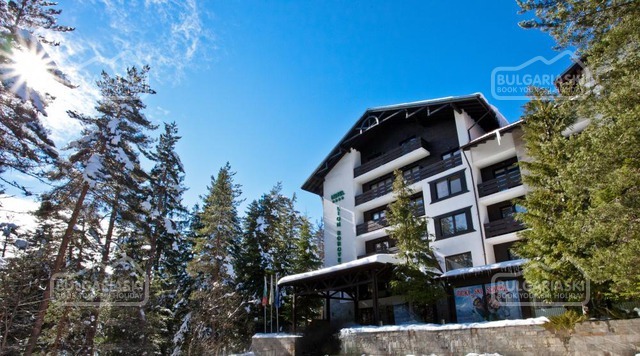 Location: Lion hotel Borovets is located among an age-old pine forest in Borovets mountain resort. 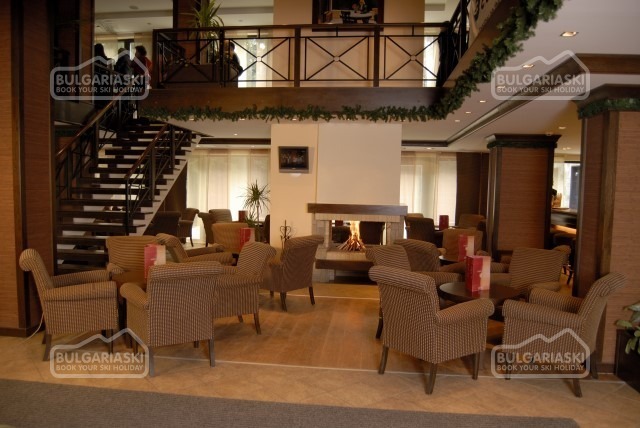 The hotel offer facilities for a relaxing and calm holiday. 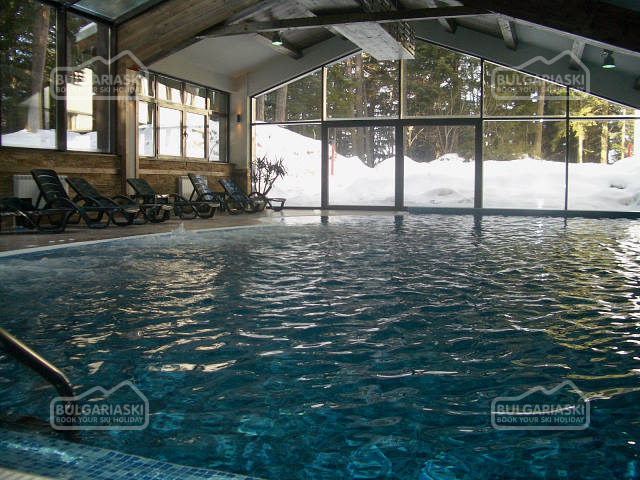 Distance to the ski lift - 1 000 m.
Accommodation: The hotel features single rooms, double rooms, studios and apartments. Guestrooms offers central heating system, telephone, satellite TV, air-conditioner, mini-bar, bathroom with a bath-tub. Facilities: At guests' disposal are conference hall, room service, shop, billiards, elevator, foreign exchange, children's swimming pool. 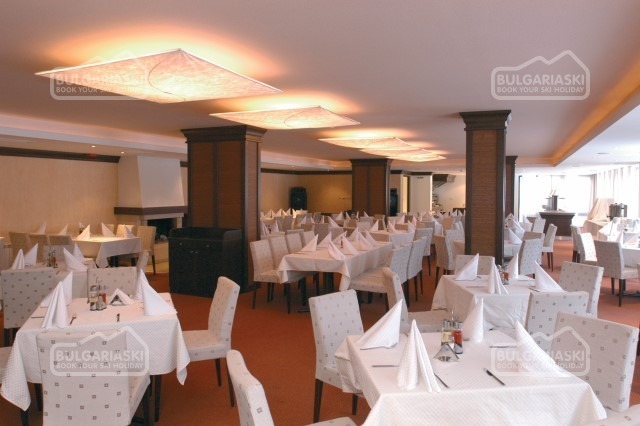 Wine & Dine: The property features restaurant and bars, Internet cafe, coffee shop. The wellness centre offers jacuzzi, indoor swimming pool, sauna, fitness, solarium, massage rooms. Private parking is possible on site (reservation is not possible) and costs EUR 4 per day. 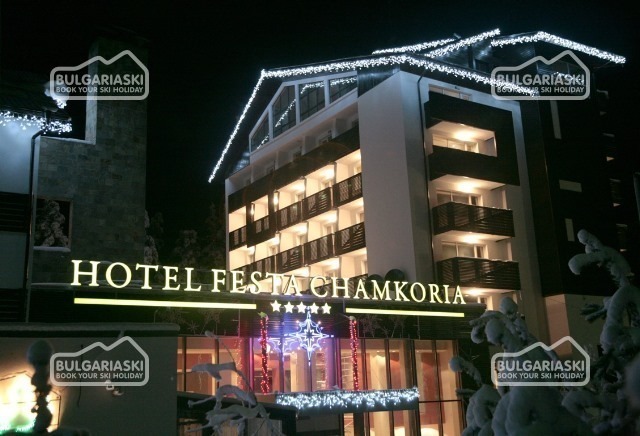 After reconstruction in Lion Borovets there is no rooms, studios and suites with kitchenette! Lovely hotel, nice location, very warm so don't dress in jumpers! 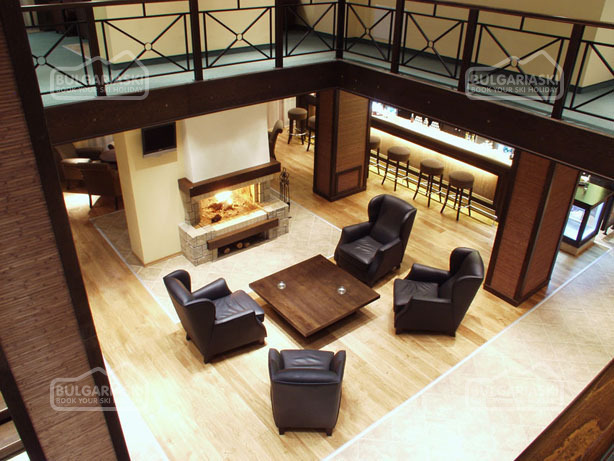 The bar is great in the evening, good atmosphere. Booked to go back in Feb 09. We have just returned from another Christmas break in The Lion Hotel. What a fabulous time, yet again. The snow just fell and fell, Christmas Day on the piste with the children was exactly as we had hoped for. The hotel, once again, spotlessly clean, extremely high standards of service and so friendly. Highly recommended, looking to book for the third year. Very nice hotel, Returning again next year. Would recommend this. Hotel very warm in the evenings so take your T shirts. We stayed here Feb 2007 (5 families), fab hotel, lovely surroundings. We are going again next year and it has increased to 9 families now as we had such a good time. 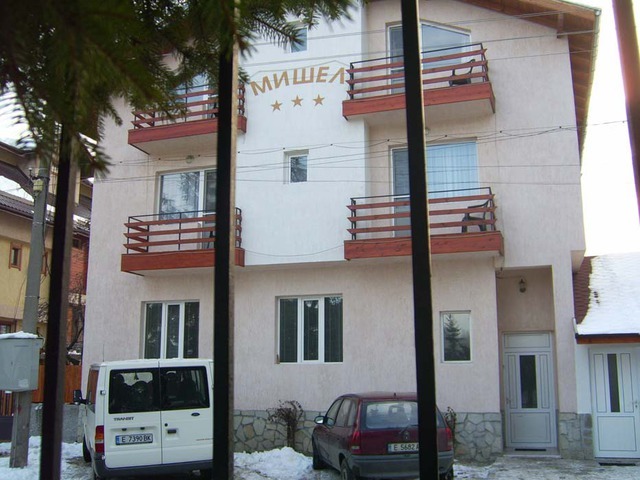 Please, post a comment on Lion Hotel, Borovets. * Maximum occupancy: Single room – 1 adult; Double room – 2 adults; Double Large room - 3 adults or 2 adults + 1 child; Junior suite - 3 adults or 2 adults + 2 children; Apartment - 4 persons. * Prices valid for min 5 overnights stay! * Cancellations can be made, providing details of this are received at least 14 working days prior to check-in day - cancellations made after this period will incur a fee equivalent to the total cost of the accommodation and catering! Cancellations for the period 28 December 2019 - 04 January 2020 can be made min. 31 days before the check in date and cancellations made after this period will incur a fee equivalent to full amount for the accommodation! Excellent holiday- will definitely use this website again. Great advice and support given. Excellent value- five stars. Great service from both BulgariSki and Lion hotel at Borovetz. Definitely will continue to use your services. Keep up with the excellent service. Best regards! The Lion hotel was perfect - clean, warm, modern, good food. BulgariaSki service was also faultless, thank you Eva for making skiing in Bulgaria possible for me and my young daughter! I will definitely be back next year and am also considering a summer holiday at a Bulgarian resort. Alles was naar ons wens!Het eten was lekker en variabel,SPA centrum was mooi en goed onderhoud,Hotelkamers waren ruim en proper.Volgend jaar komen wij terug! It's very good web site and very good hotel. The room was clean and spacious. The staff is very friendly.